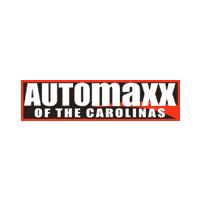 When drivers from in and around Summerville go in search of a high-quality, efficient and affordable pre-owned vehicle, they rely on the region’s pre-owned Supercenter: Automaxx. Each of our bargain priced cars, trucks and SUVs are thoroughly inspected for quality and cleanliness and available at reasonable costs —many under $10K. When you work with our in-house financing team to set up a loan or lease package specifically for you. In fact, when you purchase a vehicle from our bargain inventory, you’ll never pay exorbitant interest rates or unreasonable monthly payments. See a vehicle at an incredibly low price that you’re interested in test driving? Get the ballrolling today! The bargain-priced cars, trucks and SUVs here at Automaxx are some of the quickest selling vehicles at our showroom. Contact us today to set up a test drive or visit our headquarters to explore our inventory this week.